As a basic course of medical pharmacology and clinical course, this has been a very important professional course of Hebei North University. The college focuses on the development of disciplines. 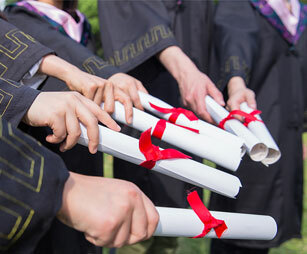 In 2002 it was named as the outstanding college course, and the right to grant master's degree in 2005, the same year as the provincial key development disciplines. Through years of development, has formed a complete curriculum, the use of traditional and modern teaching methods, using a variety teaching aids, presentations, videos and other teaching methods provide good results. In addition to clinical pharmacology professional discipline, the Chinese medicine profession, professional and Integrative medicine, anesthesia, dental, nursing, and other forensic institute implement the new professional teaching "pharmacology", After years of careful construction, scientific research, personnel training in all aspects of teaching and have made substantial progress, formed a strong academic advantage. The discipline in the professional commitment hospital pharmacology, specialist theoretical and experimental teaching tasks at the same time, continuing to explore the teaching reform, and actively carry out "scientific research and training will be introduced into teaching to enhance students' ability training "education reform work. At the same time, increase the intensity of reform of undergraduate teaching, focus on quality education, has opened a professional English courses and elective clinical pharmacology, guiding students to complete the review of more than 2,900 articles, and published more than 200 publications in the provincial papers. While focusing on strengthening the teaching quality monitoring, so that the quality of teaching continues to increase. Teachers at the same time teaching, actively carry out research work, and the integration of the latest achievements in teaching. At present, the subject of today's domestic and international Alzheimer's disease therapeutics research has formed neuron pharmacology and clinical pharmacology into two research directions, especially neuron pharmacology regard to finding effective Alzheimer's disease prevention and treatment of drug research, as the key topics. Since 1988, the establishment of behavioral pharmacology laboratory indicates that the discipline of learning and memory research has reached advanced domestic level. The discipline and the Chinese Academy of Sciences and Peking Union Medical University, Institute of Medicine, Hebei Medical University, such as maintaining close academic ties to participate in the completion of "National Key Basic Research Development Program" research projects. In the past five years, the Department also undertakes provincial scientific and technological issues; the provincial education department focuses on the topic, the provincial health department and scientific research Provincial Bureau of Traditional Chinese Medicine Pharmacology. Zhangjiakou City, a number of scientific and technological issues; jointly with other departments to complete the National Key Basic Research Development Program, the National Science Foundation, the Provincial Natural Science Foundation, the Provincial Health Office, Provincial Board of Education a number of research projects has completed two provincial scientific and technological issues, the Provincial Health Office and the Provincial Bureau of TCM pharmacology research, Zhangjiakou City, scientific and technological combined with other departments to complete the National Key Basic Research Development Program.